As it turns out, one of Clara's favorite relatives in the whole world is her Uncle Drosselmeyer (who is also her Godfather). We all have that one relative who you just connect with in a special way. Who is that person in your family? For Clara it's her eccentric and wonderful Godfather. He is the one who famously gifts her a pretty sweet Christmas present, which everyone knows is the Nutcracker doll. Every dancer who plays the role of Clara comes up with her own character and version of the little girl who visits the Land of the Sweets. For my Clara, her relationship to Drosselmeyer is key to the story. I believe they have a very close and special relationship that started way back when she was very young. The first time he reveals himself onstage in the party scene it is clear that they have a very special bond. 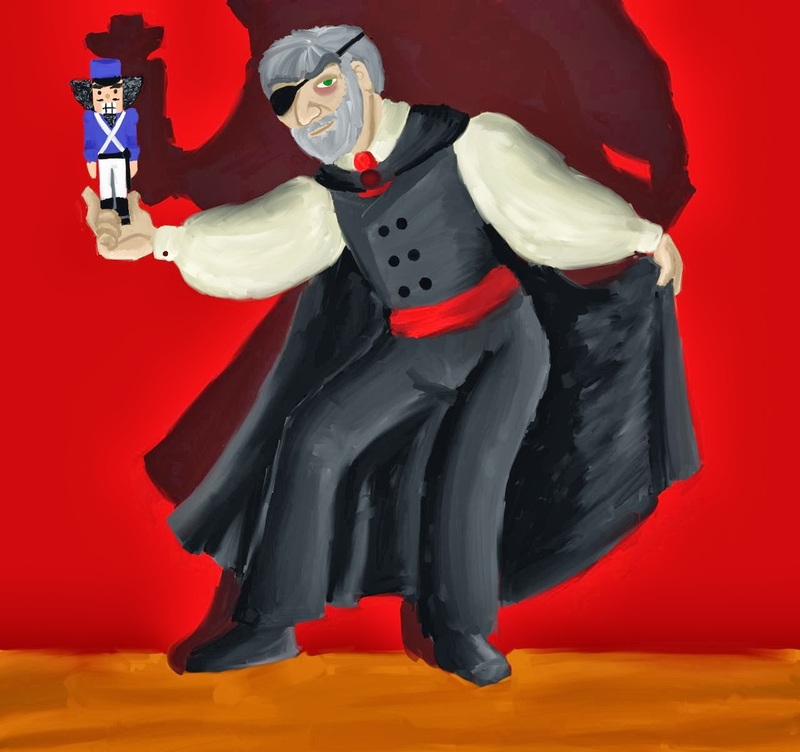 A neat illustrated version of Clara's Uncle Drosselmeyer, who gives her the Nutcracker doll. Drosselmeyer is a toymaker and one of those magical individuals. We are especially intrigued by the way he creates magic in Clara's world that night to give her the dream about huge mice and a life sized Nutcracker soldier doll who turns into her Prince. I believe he has been that magical influence on her since she was even younger, and I've decided that my Clara is somewhat of a "magic junkie." She loves anything mysterious or exciting. I think she trusts him and revels in allowing him to take her on this sometimes scary journey, because of the bond of trust and imagination he's cultivated as she's grown up. 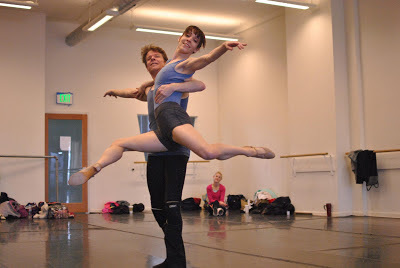 Paul Fiorino has played the role for years with Ballet Ariel and is playing it again this year. He is an incredible actor and strikes the perfect balance between being mysterious and paternal in his Drosselmeyer, which fits wonderfully well with my version of Clara. I believe Drosselmeyer has given Clara a great gift in the dream he creates for her. 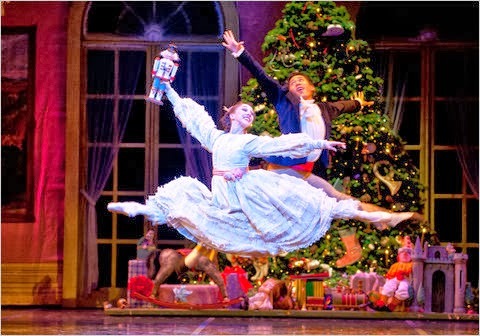 I believe he has told her the story of the Nutcracker doll and where he came from for years, and then waited patiently until she was just old enough to fall in love for the first time to give her the gift of this magical doll. The battle, the beautiful snowflakes, and the Land of the Sweets are all part of this great and magical gift. Clara Corner: How I Became a 14 Year Old Again. As a young teen, every single experience seems so intense and emotional. Very young people (and I'm speaking from memory) feel things so deeply. Everything is so raw, every heartbreak so real and world-ending. Next time you are with a very young teen, observe their reactions to things. Notice if they are able to "fake" things well. I think you will notice they seldom can. Even when they try to "act" as if they are happy/etc, you can see what they are thinking if they truly are not happy at that moment. Most of us adults, on the bridge between childhood and adulthood, pick up an ability to hide the emotions that are not "appropriate." Whether the reason is we are in public, at work, or in a situation where you just have to get other things done first, sometimes we just can't let the tears/laughter/etc loose. It is all part of being a functioning adult person, but in my opinion there's something so cool about not having to "edit" yourself. Claire Snyder as Fritz and me as Clara. Typical brother/sister interactions! As Clara I have made it my goal to transfer my heart to my face. Not physically of course (gross) but I would like every emotion Clara is feeling to register clearly for YOU, the audience. 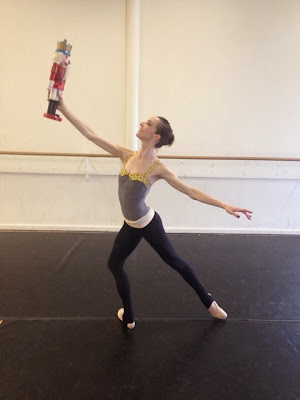 When I become entranced with my new toy, the Nutcracker, I want you to see how deeply I love this doll. When Fritz breaks my beloved Nutcracker, I literally feel like my world is ending. I want you to see that heartbreak. When the doll is transformed into a life sized soldier, I want you to feel my awe and astonishment at this amazing thing that is happening! And of course, when I see this huge toy soldier transform into my perfect Prince, I want you to literally feel the butterflies and sparkles that are giving my heart wings! I want you to feel the newness of dancing with and holding hands with a boy for the first time. This is my privilege, to bring her story to life. Clara Corner: First Day Ever of Being Clara!! Today was my first day ever (it feels so amazing to say that!) of being Clara! After class and lunch, we started up with Act 2 opening. This is the first time Clara sees the Land of the Sweets and Sugar Plum Fairy's castle. In this scene I get to dance with the Prince (played by Peter Strand, my longtime partner at Ballet Ariel) as we explore the amazing surroundings. The next rehearsal was for the Land of the Snow. 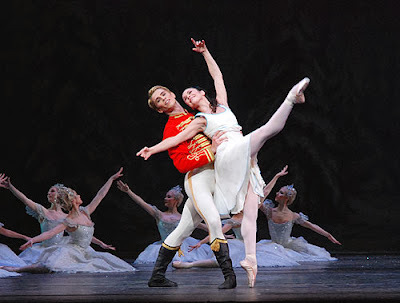 Clara and Prince dance in and out of the swirling Snowflakes on their way to Sugar Plum Fairy's castle. There were a couple really cool (and challenging) lifts in this choreography, which were fun to attempt and see improvement on as we continued to work on them. 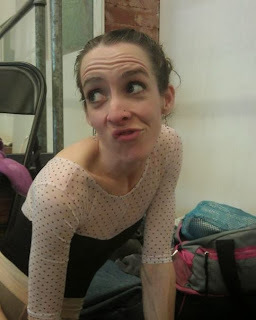 This is me after Snow rehearsal, making the requested weird face, albiet a little ragged, and happy in my new leotard! Fun leotards make the day so much better-- when you feel good in what you're wearing, you dance better. At least that's my experience. All in all a great first day in my dream role. Next rehearsal coming up on Friday in two days, I'll keep you updated as we continue learning choreography. Excited also to continue to get to know this young teenage character deeper as the process unfolds. Remember when you were a young teenager and had yet to have your first real boyfriend/girlfriend? I'm not sure about you, but as a young teen I watched romantic movies, read and wrote poetry about love, and dreamed of the day I'd find my very own Prince Charming. He'd be dashing, brave, kind, strong, and wonderful. Not to mention perfect. Of course! 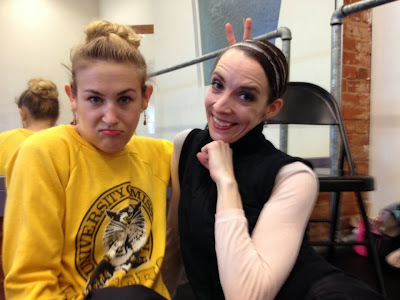 I've been visiting the mindset of young teens lately in preparation for playing Clara in the Nutcracker. She dreams of finding her true love as most other girls do. Her daydreams include much hand-holding and gazing into the eyes of the one who will complete all her romantic dreams. As adults we often trade these fantasies for the reality of adult relationships, and rightly so. The fairy tale belief that one person will come along and solve all your problems is, well, a fairy tale. You have to admit though, there is indeed something naively charming about those kind of dreams while they last. Clara and her Prince from the Royal Ballet's "The Nutcracker"
It has been fun to revisit the puppy love world in my research for playing Clara (which I will begin my first rehearsals for in the next week or so).Clara, much like many young ladies in famous stories, does find her perfect prince in the end. She has to wade through some icky things first of course (including an annoying younger brother, millions of scary mice, and a battle between a Nutcracker Soldier doll and the King of those horrible mice). She summons up all the courage she has to help the Nutcracker Soldier doll to win the battle, and her prize is-- drum roll please-- her very own Prince. The Nutcracker Soldier doll transforms into the man of her dreams-- handsome, charming, and of course, a dancer! They dance their way through the Land of Snow and into the Kingdom of the Sweets, where a lavish show is put on in honor of the new lovestruck couple. ...And they all lived happily ever after. Gotta love that! I sure do! I'll be playing out that happily ever after for you as Clara Nov 30th (Lone Tree Arts Center show-- link here for details: http://www.lonetreeartscenter.org/showinfo.php?id=94), and at Cleo Parker Robinson Theater December 14th 8pm performance, and the closing matinee performance at 3 pm on Dec 15th. Link for tickets at Cleo's and more information here: http://balletariel.org/nutcracker/ Would love for you to come out and experience puppy love with us all over again! Clara Corner: A Dream Realized! 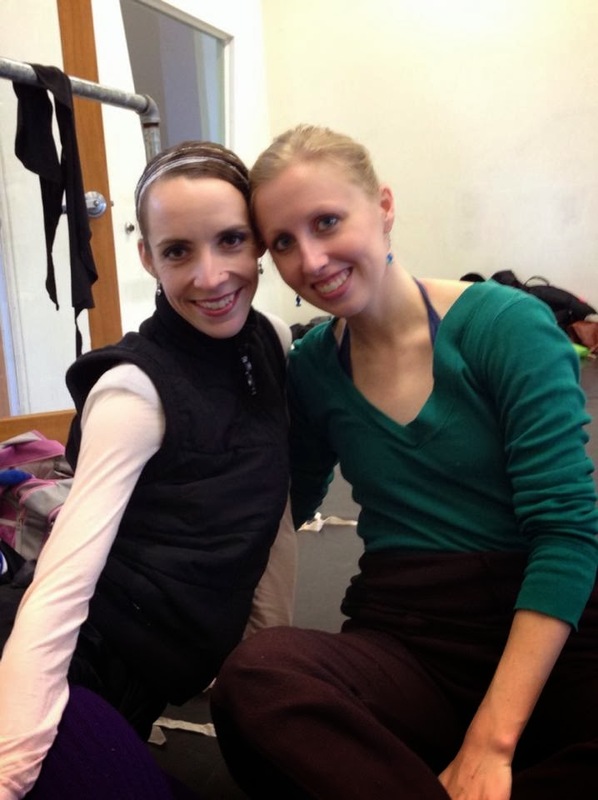 Dancers of Colorado Ballet as Clara and Fritz. I love this photo because it really captures the joy of the Clara character. And, I'm slowly but surely developing my Clara character (for this year's Nutcracker) inside my mind... I'm seeing her as an endearing and spitfire young teenager, who is also a bit headstrong and mischievous (you have to be to have the courage to hit a scary Rat King on the head with a ballet shoe!). She's a sweet girl who lives each moment to the fullest. She's one of those people that gets excited by every single beautiful thing in life and is always bursting with energy. I have quite a few students who fit this personality description and I'm using their fun spirits to inspire me in my portrayal. I'm excited to continue developing this character with more personality details! Ballet Ariel is presenting The Nutcracker at Cleo Parker Robinson Theatre in December. More specifically, (Sunday) December 8th at 3 pm, (Saturday) December 14th 3 pm and 8 pm, and closing matinee on (Sunday) December 15th at 3 pm. Go here to buy tickets: http://balletariel.org/nutcracker/ I'll let you know which shows I am performing the role of Clara as soon as I know! 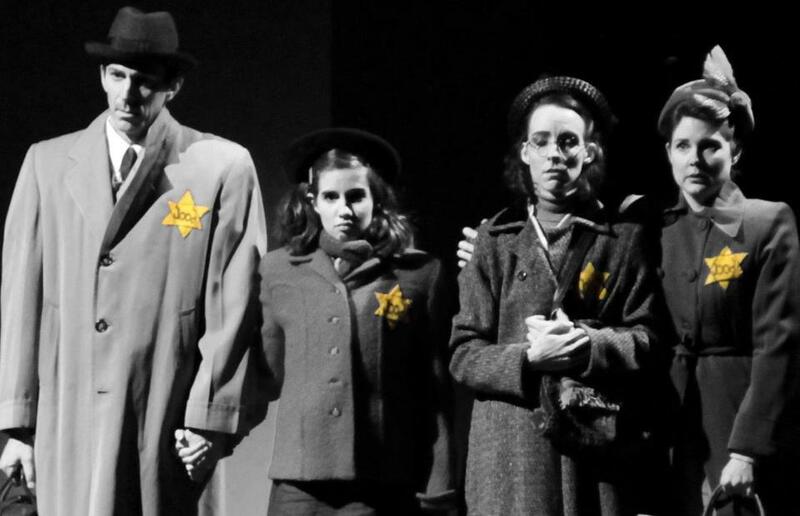 This is one of my favorite pictures snapped at "Diary of Anne Frank." 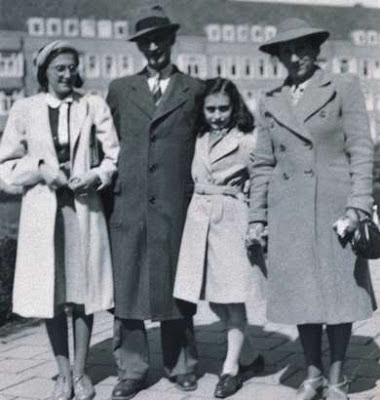 My family: My (stage) dad, Otto Frank, Anne, myself, and my (stage) mom Edith Frank. Love the yellow stars against the black and white. Missing this show, and the family I bonded with over rehearsals and six moving shows. We closed about a month ago but it feels like just yesterday sometimes. My grandmother Kay and I a couple years ago on Christmas night. The most wonderful, sweet, witty, fun and giving woman passed from our world to paradise just a few weeks ago. My grandmother Kay Lano, loved by all who met her, left us for a better place and with broken hearts. I know, as the song goes, that she is in a better place and for that I am joyful. 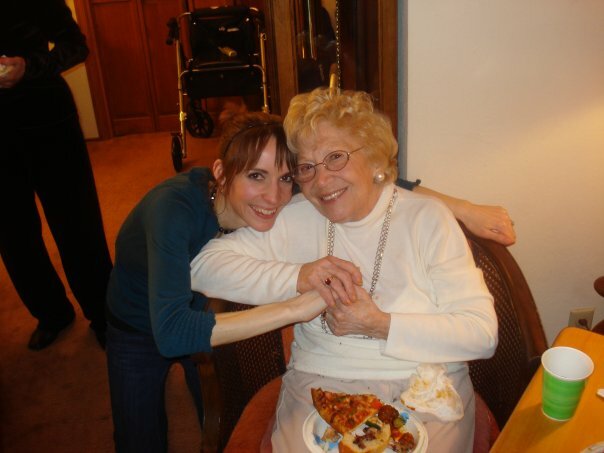 But the cold fact of her being gone causes pain and sadness to my large Italian family, of whom she was the matriarch. It's like the sun going behind a cloud on a sunny day-- you just want it to come back. When I think about her life, I see nothing undone, nothing unsaid, no regrets. She was the first one to say that did everything she ever wanted to. She traveled, had a large family, and built her dream home with her husband. She loved with abandon. She made you feel gorgeous, loved, valuable, smart. She was sunshine incarnate, complete with kisses and hugs to spare. It's taken me this long to really write about her passing. In so very many ways I don't want to accept it. I have been dreading her physical death for as long as I can remember, that's how beloved she is to me. She was the kind of person you wanted around forever because she made everything-- EVERYTHING-- better. 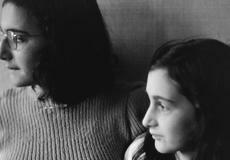 Sarah Grover as Anne, me as Margot Frank in PVP's "Diary of Anne Frank"
Growing up in California, I always saw her out in the audience during my ballet performances. The little blinking red light from the camcorder was always there, and later I would hear the comments from her and my Gramps: "There she is Anthony! No... Over there! On the left!" Then my Gramps would say, "Oh, there she is... I see her... Look at her! So cute!" She was, as my Gramps was, the kind of person to talk about you in wonderful ways behind your back. So grateful for the video footage-- not because I am in it, but that their voices are caught up in it. They were always loving to me even when I was far away onstage. 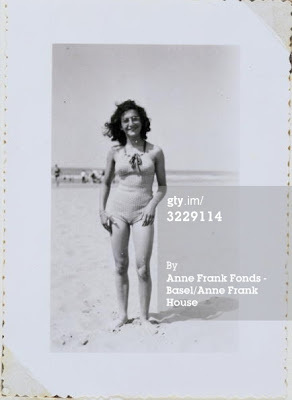 I had to open "Diary of Anne Frank," playing Margot, the day after Grams died. Not sure how I held it together and remembered my lines. People said to me, "She is with you, watching in the audience." I had to think about that for a minute. Was she really? Then I realized that she, as wonderfully stubborn as she was about supporting her family in everything we did, would never let something as paltry as death stop her from supporting me in something as important as this. Then I knew Grams was in the front row watching and loving me with all she had. I wish I had the chance to tell her about the ballet I just performed. My favorite part of the ballet was the duet to "Moonlight Serenade" I was privileged to dance with Peter Strand, my regular dance partner at Ballet Ariel. It was set in the 30's/40's and was about a musician and chorus girl who fall in love in a dance hall to the romantic sounds of Glenn Miller big band. She and Gramps met at the Manhattan Dance Center during the forties, danced together that very same night, and were married about a year later. My inspiration for my character was her, but I doubt that I portrayed her amazing personality to as accurately as my heart yearned to. I wanted to do her sunshine justice, and being her grandaughter, I was probably able to emit at least a bit of it. If you ever knew Kay Lano, however, I think you'd agree that she is the only one that could truly shine her own brand of delightful happy joy and wittiness. Opening performance in Denver for this show, I thought I spotted an older red headed woman in the audience that looked almost exactly like Grams. I wasn't surprised. I refuse to say goodbye. Grams, be with me always as I dance and perform and live. You will be my inspiration and audience in whatever I do in the future. I'll be looking for the blinking red light and dancing for you, and I'll see you when I someday pass over to paradise. I had a thought the other day as I was studying my "Diary of Anne Frank" script: Margot is like a seashell. The more I study Margot and her personality, the more I see her reserved kindness and strength. Yet at times she broke down emotionally, she yelled, she was overcome with the situation. Who wouldn't be? Most of the time though, she was silent, quiet. Kind of like a seashell sitting on a table, until you walk over to it and very carefully place it over your ear... And listen. If you listen very intently, you might be able to hear the ocean. This, to me, is Margot. A calm, polite and mature exterior (especially for being sweet sixteen), always helpful and never demanding anything for herself. The first one to give a compliment or encouraging word to those around her. And yet, beneath that smile and those big brown eyes, there is a veritable ocean of depth and intensity that only those who really search will find. Margot was on a fast track to what would have been a European Ivy League school and probably would have aced every class. And then gone on to change the world. This was one brilliant young woman. She was political, athletic, strong willed and confident. Because the diary was Anne's, she is the most well known of the Annexe dwellers. Yet right next to her sat Margot, reading and dreaming and planning, and I think, praying. She dealt with the others in way that made her, in my opinion, the unofficial Annexe healer and helper (much like her father Otto) and dreamt of moving far away to become a nurse for children. The first one to get "called up," I am almost sure she dealt with more guilt than most people ever do in their lifetimes (because of her call up to work camp, the Frank family was forced to go into hiding). Next time you see a quiet person, think twice before you label them as "shy" or "socially awkward." They might have more going on under the surface than you could ever imagine. What would it be like to be closed in? To never be able to leave a very, very small space shared with seven other people? Not to mention, these seven might not be your favorite people in the world. Throw in the fact that every noise you make might betray the fact you are in hiding? One toilet flush could cost you, and your friends, your lives. I can't (I get antsy when I am unable to leave the house just for one day). But the Frank family can. They lived in a small attic space for two years in Holland with four other people. Not for some kind of social experiment, or to participate in a reality tv show. They did it to survive. While playing Margot, there will be many scenes that I will be onstage and not delivering lines. We will silently be doing normal "everyday" activities in different parts of the onstage space .This is the same for the rest of the cast. We will not leave stage or have entrances and exits-- EVER. Just as the Franks, Van Daans and Mr. Dussel could not leave the Annexe. Can you imagine how much self control it would have taken to live in this manner for an extended period? To be trapped without any opportunity to leave? 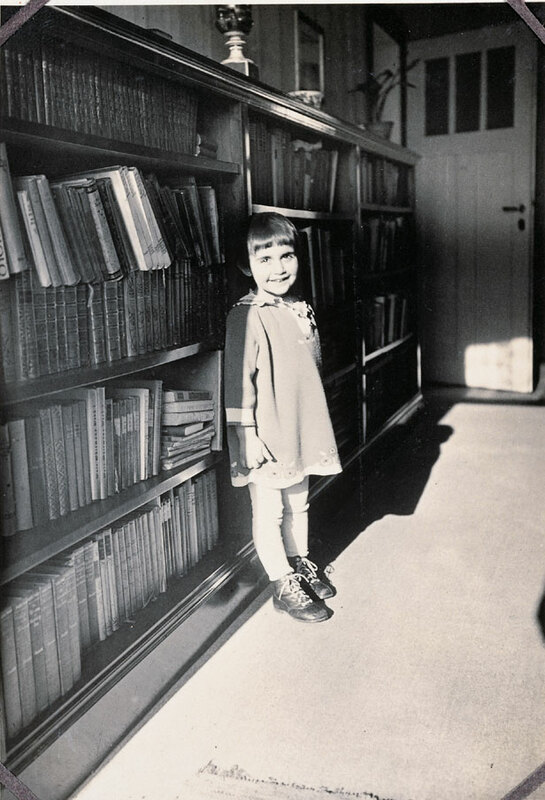 For Margot, I see that most of her life in hiding revolved around books and studying. These were quiet activities and from what we know she was quite the bookworm in the first place. I would guess that reading was really the only thing that could take her attention off her present life to take her away to other locations and lands, to enrich her mind and soul, and see significant transformation at least within herself. With all the changes they longed for on the outside world it would seem as if these inner changes could be greatly treasured. Margot, Margot, Margot... The Original Marcia? Do you have an older sibling? A sibling that your parents used as an example when you might not have been behaving at your absolute best? If not, have you at least seen the famous Brady Bunch episode where Jan gets angry that Marcia is getting all the attention and finally cries out in teen angst, "Marcia, Marcia, Marcia!!!" Welcome to Margot Frank's world. I already knew she was a straight-A student and it has also been said more than once she was a model young lady. It also appears as if she, as many other big sisters, served as an example to Anne in how she should act. Anne writes in her diary more than once about how her parents ask her to act more like Margot. In our play script for "The Diary of Anne Frank," Anne protests as she runs out of the room, "Margot is perfect... I'll NEVER be Margot!" I wonder how soon and often Margot got frustrated by this, knowing she wasn't indeed perfect. I wonder, though described as quiet and reserved, what she wrote about in her diary concerning this frequent comparison. I do not have a little sister. In fact, I only have two brothers (one older and one younger). Sarah, who is playing Anne in our production, recently told me she also doesn't have a sister either. I have a feeling we will soon learn a little more about what having a sister is like. Simply rehearsing our "sister scenes" that in real life took place in such a tiny attic space, has shown me a bit about their sisterly dynamics and fireworks. Through my research of the relationship between Anne and Margot, I see the sibling rivalry between them was intense at times. It couldn't be helped that all issues and grievances were magnified so greatly in such a small space occupied by eight people. Miep Gies, one of the "helpers" who hid the Frank family in the attic space above Otto Frank's business, described Margot as very different from firecracker Anne: "Margot had a way of making herself invisible. 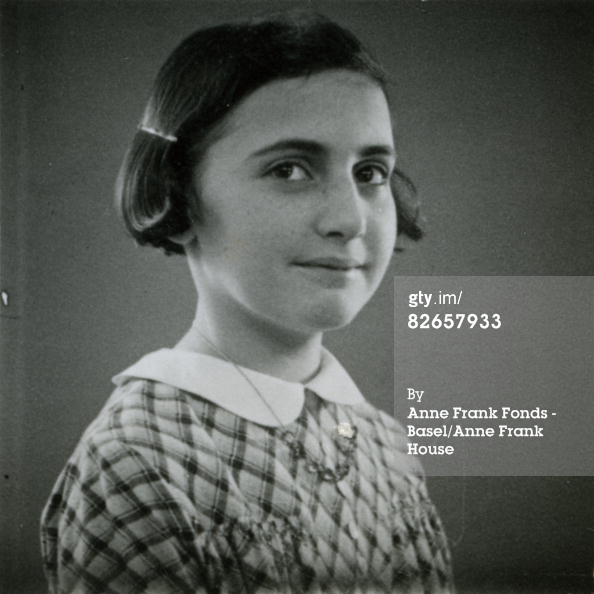 She never got in the way, she made no demands" (Miep Gies, Anne Frank Remembered). There was a three year difference between Anne and Margot, and the distinctions between their personalities also become obvious in Anne's writings. Anne wrote in her diary: "I don't get along with Margot very well either. Even though our family never has the same kind of outbursts as they do upstairs, I find it far from pleasant. Margot's and Mother's personalities are so alien to me." (Anne Frank, Diary of a Young Girl). Despite all the fireworks and quiet struggles that went on in their relationship, I observe a great bond of sisterly love between Anne and Margot. There were times in the Annexe they sat and bonded over their dreams, hopes, and everyday struggles. They wrote notes to each other during their time in hiding. Margot proved herself to not only be a "good example," but someone who understood her younger sister more than Anne probably realized. I see maturity and sweetness in the way she reacted to and tried to help Anne in her oftentimes emotionally impulsive outbursts toward her and others. I see her trying to help Anne understand the situation and herself better, in an extremely trying emotional and physical environment. And as her life in the Annexe unfolded, Anne matured from a young girl into a woman. I believe she eventually realized that Margot was not just an older sister but a desperately needed friend, someone to hold onto-- literally for dear life. 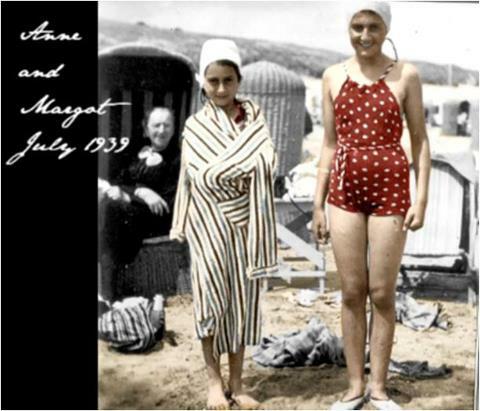 There are of course no records written by Margot or Anne after being taken from their hiding place, after being transported to the work/concentration camps where they both eventually died of typhus. But I imagine their experience together in such close quarters became a treasure of comfort and nourishment to both of them in their last months of life. Alongside her academics, she regularly attended a Jewish youth club, rowed and played tennis, and had an active social life. Anne, in her diary, mentions Margot going to friends' houses to play ping pong. All these things characterize a relatively normal active teenage life. But all this was before things started changing dramatically for the Jews in Holland. The restrictions started around 1940, when Jews were not to be out on the streets between 8pm and 6 am, and they were barred from theaters, movies, and other forms of entertainment. They also were no longer allowed to use swimming pools or athletic fields. 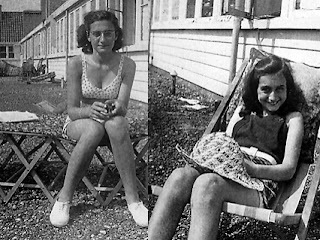 I believe one of the most impactful restrictions in Margot's teenage life (along with being "branded" as a Jew by the star required on their clothing, and the eventual rationing of food, etc for Jews) was the fact she could no longer use tennis courts, row, or participate in any athletic activity in public. From my research it seemed as if she was quite active in sports, and to take that passion and outlet away? She must have felt part of her identity ripped away from her in those moments. I can't even imagine what it would be like to have dance taken away from me. Of course the most immediate threat to Margot and her family (and the entire Jewish population) were the "call-ups," the orders to report to a work/concentration camp as part of the "ethnic cleansing" organized by Hitler-- and as it happened, Margot was the first one of the family called. This was the impetus for the Frank family to go into hiding. Can you imagine being the reason, even though of course it wasn't her fault, for such a huge change in your family's lifestyle? Otto Frank, her father, had planned for his family to go into hiding for at least a year before Margot's call up. He knew this would happen for awhile. Regardless, I am not sure if Margot felt guilty in the two years they lived cramped together in the "secret annexe." I would imagine that thought would skip through even the most logical person's mind at least once. Judging by Margot's accomplishments in her teenage years, she no doubt would have become an exceptional adult who could have contributed to the world through her kindness and knowledge. I am pleased as punch to announce that I have been cast as Margot Frank in Platte Valley Players Theatre's production of "Diary of Anne Frank." On top of that, I am honored beyond belief. This is a story that needs to be told, over and over, so that we do not forget. The Holocaust is an event that has hung around in my heart and soul like a thin vapor for many years. I can't figure out why or how, but this particular subject has popped up in my life here and there more times than I can count. Watching the movie Schindler's List crushed my heart, and any research of what happened to the Jews chokes me up immediately. Jewish culture and tradition have also been a huge interest of mine ever since I began studying the Bible, and especially during my years at George Fox Seminary in Portland, Oregon. I have not completed my degree in seminary (though I plan to someday), but when I do I deeply desire for it to be in Jewish/Hebrew/Old Testament studies of some sort. About a year ago, I auditioned for a part in another play (a young Jewish woman) and was fascinated and thrilled by the fact the play highlighted the family's Hebrew traditions. 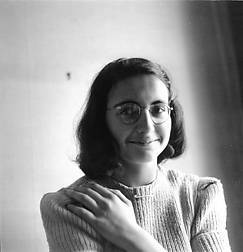 I didn't end up getting cast in the part, but now I see that all these occurences in my life have been milemarkers, guiding the way to this most recent gift I've been given: The chance to portray Margot Frank. I honestly feel as if this is meant to be, and I am beyond excited as I begin to research and study her as a real person. She lived and died, and left a legacy behind her. The most amazing part about the opportunity to portray Margot (and the most intimidating as an actress) is that she is not just a made-up, fictional character in a play. Margot Frank at about 15 years old. Margot lives in the shadow of her younger sister Anne, due to the enormous popularity of Anne's diary ("Diary of a Young Girl"). I was a little daunted when I first got cast as Margot, wondering if there was anything out there I could read or watch about her. It seems the only thing many people know about her is that she was Anne's sister. Some people, when I tell them of my casting, even ask me who Margot is. It took some digging, but I have already found quite a lot of information on this fascinating girl. Margot was more of a reserved girl-- smart, kind, and quiet. When compared to Anne's outgoing and entertaining personality she is portrayed, at least in Anne's diary, as quiet as a little mouse. Once I started reading about this "forgotten" sister, however, I immediately found there is a veritable ocean of personality and depth beneath the surface of her deep brown eyes. This was a brilliant girl, destined for greatness, cut down at the very beginning of her adult life. I will be sharing my "Margot findings" here, including my journey becoming her in rehearsal and onstage. I hope you will enjoy the journey of getting to know and love Margot Betti Frank as much as I have so far.